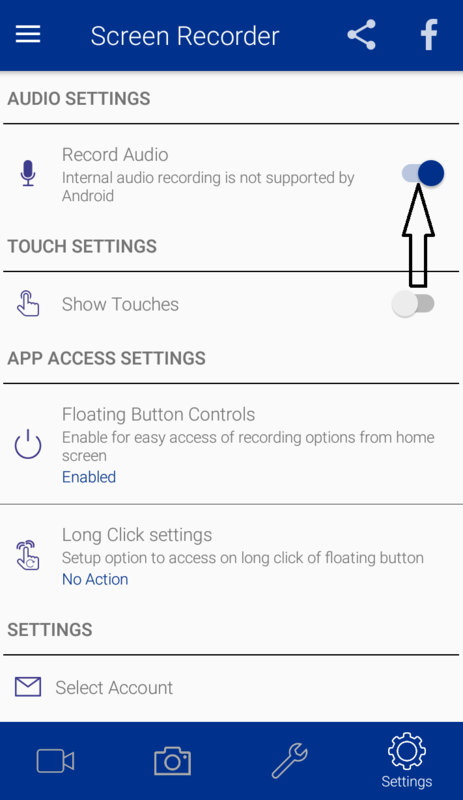 Our app only records the sound through mic, which can also be enabled/disabled through "settings" option.So every sound that is captured by mic will be recorded in video. 2. There you can see "audio settings". 3. Enable/disable "record audio" as per your requirement. 4. We recommend to sit you in quiet surroundings to get high-quality audio.